Cards are printed on a coated stock with envelopes, 4.25 in. X 5.5 in. California residents add 7.5% tax. Have a favorite bird or critter you'd like a portrait of? Contact the artist for commission work information. 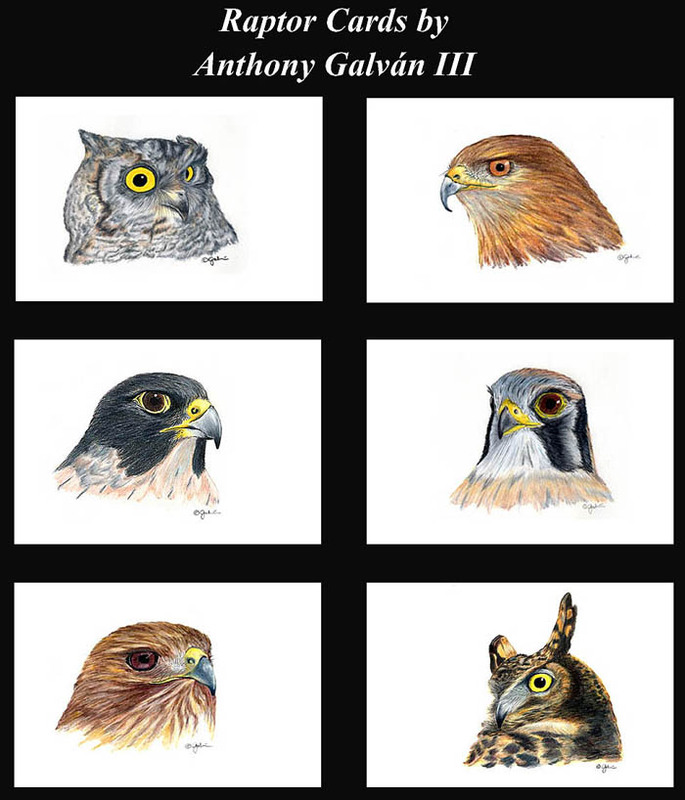 Tony Galván is a self-taught artist and lives in Goleta, Califronia. years experience working with wildlife rescue and rehab. Ivan, the Red-Tailed Hawk, was one of the models for his color portrait series. All images © 2006 Anthony Galván III. Any use requires written permission. For more information and pricing for illustration projects contact the Artist. A broader sample of his work can be seen at Science-Art.com.